Sunshine on a warm summer day. A smile on the face of a friend. A cool breeze from the wake of a podracer as it zooms by you in blur of red, white, and refreshing. Enjoy Life. 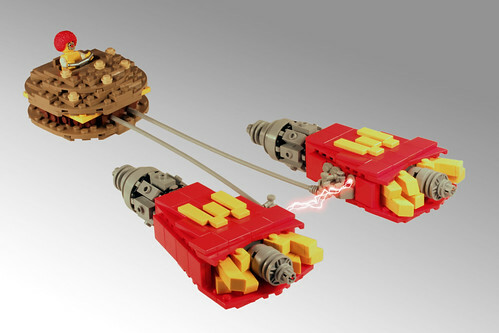 Enjoy this Classic Coca-Cola Podracer. 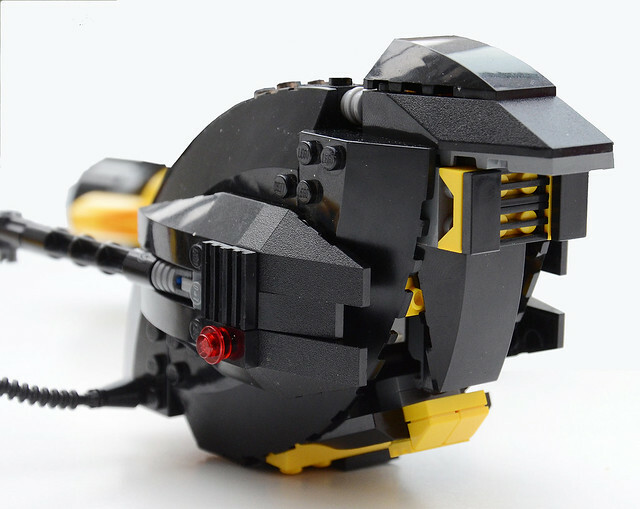 madLEGOman wrote: madLEGOman's entry: "The Pod Must Be Crazy"
My previous post no longer needs to be up, and I can't delete it for some reason. Help, admins, it would appear that you are my only hope. This entry is awesome. You are getting my vote. But, don't you think there is big risk for disqualification. Rules state that pilot must be seated in cockpit and visible on at least one of 2 submited photos. Anyway, I think that's best entry here and I hope you won't get disqualified. Build progress: Today, when I pick up my BL order, my pod will be finished (finally). 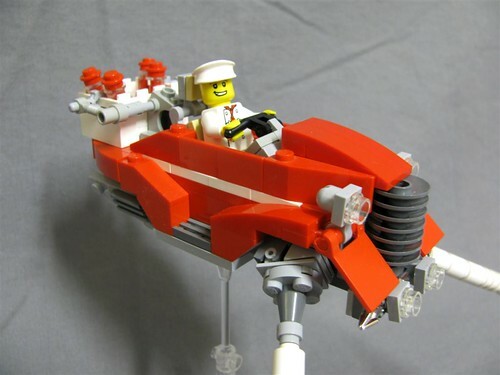 Hi, here is my entry: Ferrari Podracer. 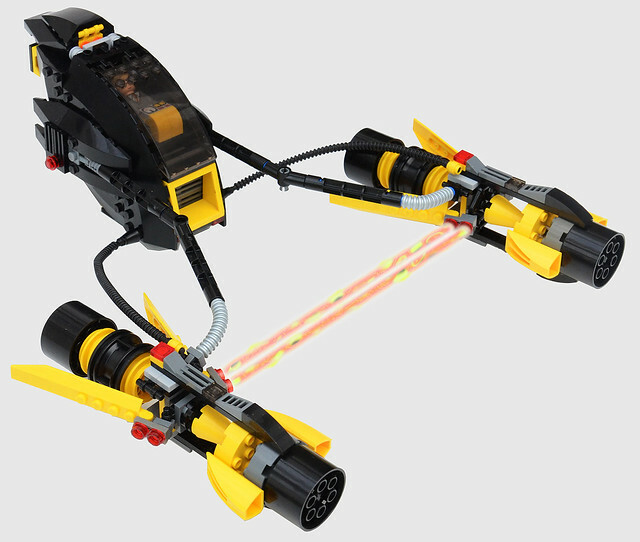 Nick Bluetooth races onto the scene with his TDNX-Module Podracer! He's been tasked with defending the Outer Rim, rather than the entire Outer Dimension. For racing purposes, he's turned off the podracer's ability to navigate through dimensions. In addition to this, and not unlike the TDN Module, the vehicle is sentient. Nick usually refers to it by its nickname, the "Eggracer". If you're still confused at this point (and I hope you're not), the theme I chose is Galidor. A big thanks to Daiman Mardon for photoshop help! The prize isn't important, only the joke is important. So I'm glad a few of you got the joke. Though don't get me wrong, the prize would be nice too..
For those who don't get it, you really should watch the movie. The Big One. Extremely dangerous, for the other racers that is. All through his life Sid has only been associated with one image. What else would his cockpit look like? 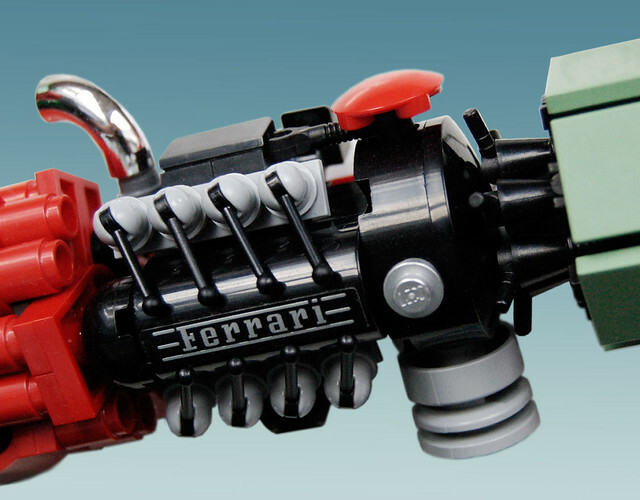 My biggest regret is that Lego doesn't produce a 4x4x2 cone in red. Want to know more? Click the pics, Cheers! German soldier are quite different from the another soldiers around the world. They are good in tactics, and strong - don't forget, they are very brave. 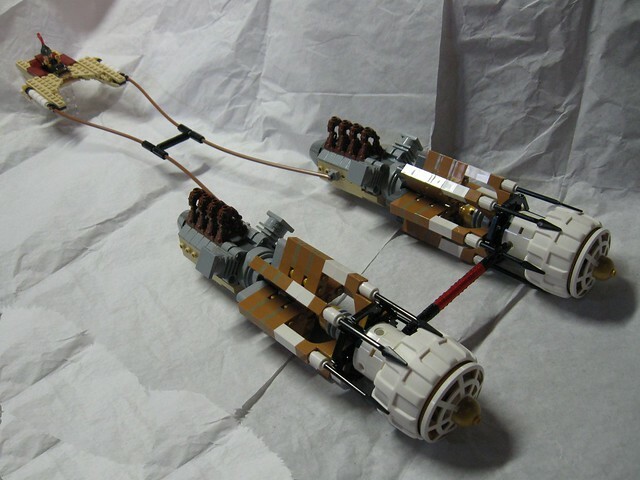 This soldier was picked from Indiana Jones movie, and I made a podracer for him. Each side are different. 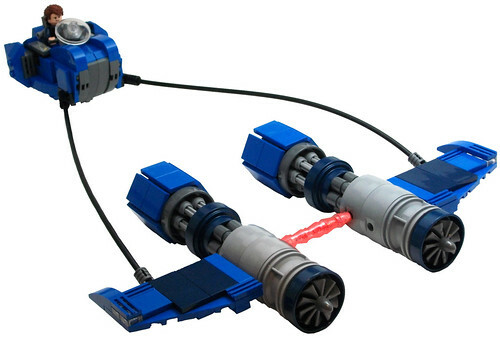 In a desperate attempt to turn back time and claim the kingship for himself, Nizam commissioned this podracer. With a distinctive hourglass shape (the better to speed through timeflows) and obligatory arches, domes, and Persian styling, the Sandglass poses a sinister threat to any racer who dares oppose Nizam's dark agenda. Using the Weasley flying car, Hagrid removed everything that was useless like wheels, engine, roof & seats. 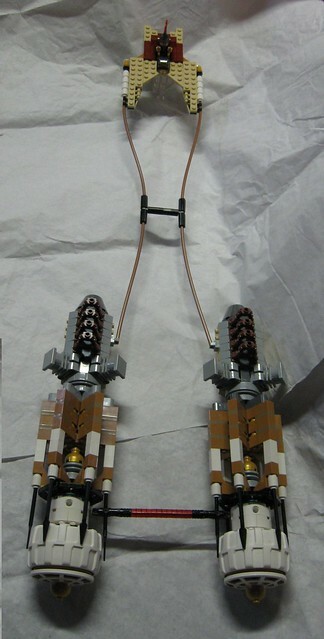 He placed a power source for the plasma binder chains designed to tether the engines (err Dragons) to his pod & each other under the hood. 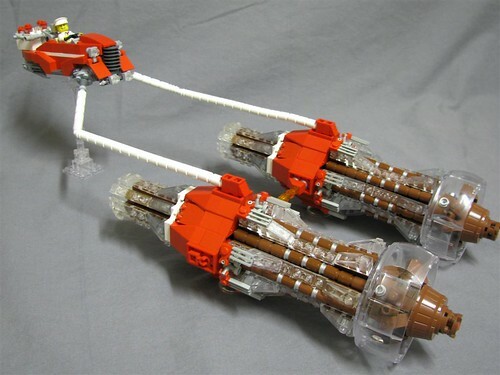 After watching a few pod races he realized that attacks from behind are common so he attached a couple of wands (on loan from friends with protection spells) as rear-facing defensive weapons. He also loaded an 8ft board just in case he finds himself needing to toss it into someone's intake or cockpit. For his engines Hagrid travelled to the forever frozen high mountains of China and acquired at pair of twin brother Chinese Ice Dragons. The desert heat won't bother them too much and the ice they breathe can be used as offensive weapons against the other pods. Of course their claws might come in handy also. The dominant of the tow dragons has an orange marking on his right wing. 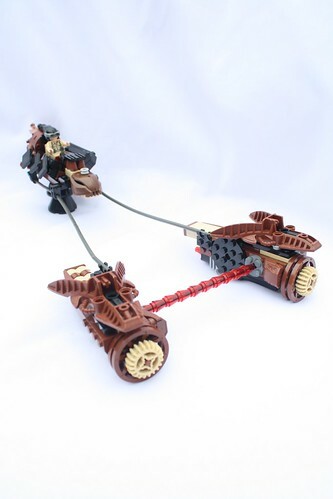 A scale from each of his dragons was added to his "umbrella" wand allowing him to use it as a contoller to drive the team. 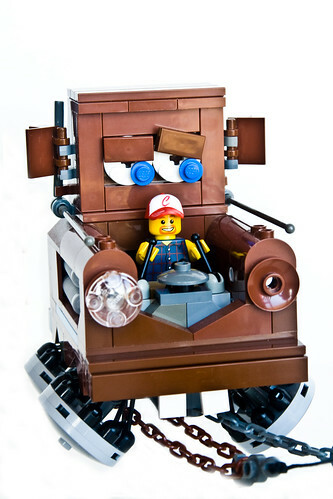 The whip & driving fedora are Hagrid's nod to the old days when vehicles were all drawn by beasts. Here's my 3/4 view, no editing of the image has been done. Here's a close-up of Hagrid in the cockpit, you can see his (dark) pink umbrella wand and the other details of the Flying car formerly owned by Ron Weasley. Sentience requires more than just being "self aware" a dog is not sentient for example. In some fantasy worlds dragons are sentient, they speak, organize and have a society all their own. In Harry Potter's world they are not sentient as they are treated like other wild & domesticated animals. 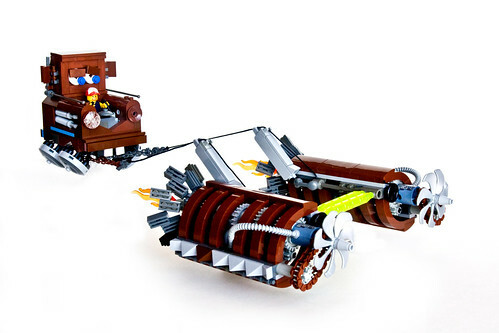 The dragons are obviously Ninjago Ice Dragons modified to remove all of the trans blue pieces and extra claws from the tops of the wings. I also replaced the wing "arm" attachment to the body and added scales for texture to the back & wings. 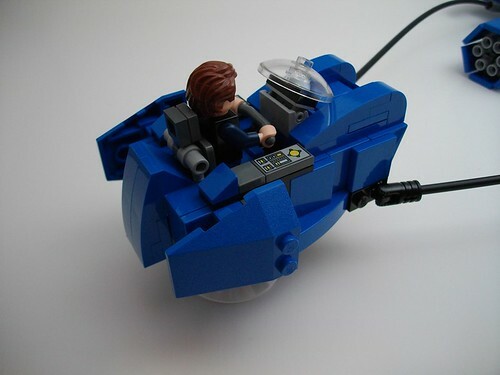 The Pod is a MOC meant to show a stripped-down and partially rebuild vehicle made from the Weasley flying car after it's encounter with the Whomping Willow. 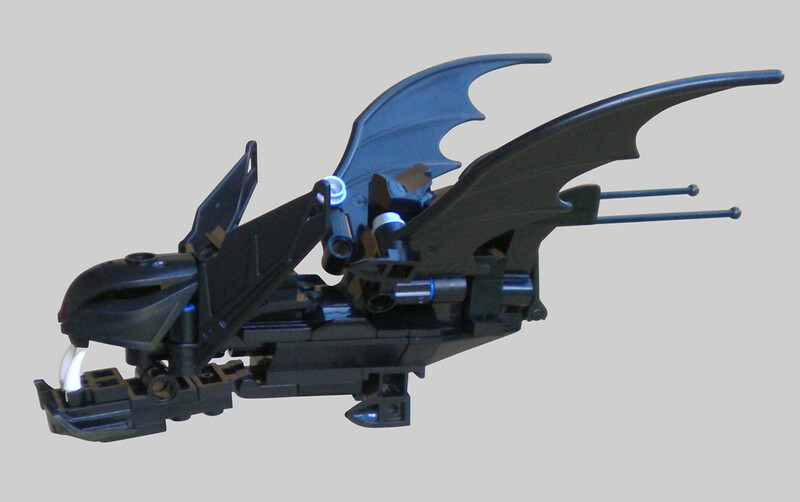 Here's my entry, the Dark Knight Returns Podracer. 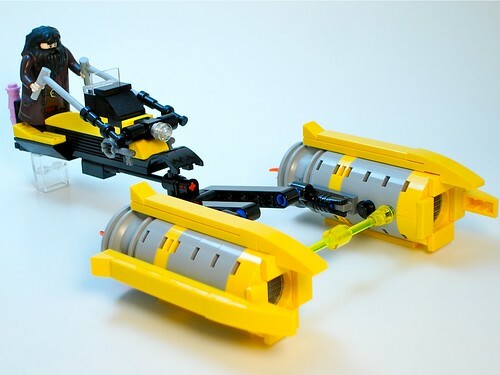 1) I've never owned a Batman set but I thought it was a cool build idea. The only batman sets I saw for sale on amazon were in the >£300 range. So I thought I'd use my existing bricks. 2) The style is more "The Dark Knight Returns" than the 60's Batman series (seems like the Lego sets are closer to the 60's series). 3) I did make an effort to buy a Batman minifigure. I even sniped one on ebay but it went waaayy out of my price range (maybe another desperate bothan? 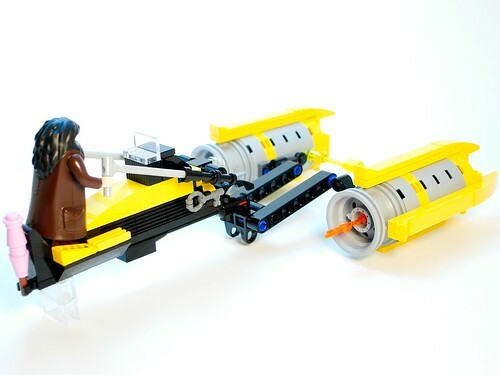 ), so I decided to depict the podracer being taken out on a test drive by Albert (Batman's butler). Great job on all of the build so far folks. Can't wait to see the last minute entries as well. I hope a second submission post doesn't disqualify your entry. I like how you've captured the lines of a real bat in the pod.